The USA was along with Jamaica one of the first geographical places where white music and black music fused. The UK is third place where this happened. Soul, jazz, Latin, Brazil, funk, acid jazz, hip hop, and lounge on vinyl and CD, hard-to-find imports, reissues, classic LPs, old school 12-inch singles, and funky 45s. --http://www.dustygroove.com/ [Aug 2006] Soul, jazz, Latin, Brazil, funk, acid jazz, hip hop, and lounge on vinyl and CD, hard-to-find imports, reissues, classic LPs, old school 12-inch singles, and funky 45s. African American music (black music, formerly known as race music) is the music of African Americans, who have long constituted a large minority of the population of the United States. They were originally brought to North America to work as slaves in cotton plantations, bringing with them typically polyphonic songs from literally hundreds of ethnic groups across West Africa. In the United States, multiple cultural traditions merged with influences from polka, waltzes and other European music. 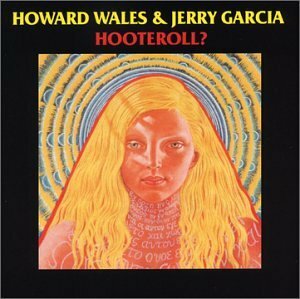 Howard Wales is an American organ player and sometime collaborator of Jerry Garcia.